Classic consoles are everywhere with announcements of the SNES Classic, Atari’s return and more! Plus, we talk Steam’s Summer Sale, Superhot, and Zelda DLC. First, we discuss some of the games we’ve purchased on the Steam Summer Sale, plus a bit about Best Buy’s latest pre-order deals. Then, it’s off to Zelda: Breath of the Wild’s first DLC pack which is officially live. Once we cover the latest, it’s on to our main topic: Retro Gaming and Classic Consoles. We dive head first into Nintendo’s SNES Classic, discuss how the NES Classic was handled, and talk about the significance of Star Fox 2’s long awaited release. Then it’s on to Sega Forever hitting mobile, Atari’s surprise console announcement, and finally, a little about Superhot. Minecraft can be a dangerous place, corporate challenge can be a freeing experience, Mario Odyssey gets 2-player, and the Necromancer returns to the world of Diablo. We talk these topics, plus a few more across the gaming universe including the Steam Summer Sale, BlizzCon, and the Xbox One X! E3 is underway and the big presentations are done. We talk about how wrong or right our predictions were from last week, plus a detailed discussion on how the major players are doing, what games we are most excited for, and what has disappointed us the most so far. We dive into Microsoft first with talk of the Xbox One X and all the teraflops you could ever want. Then it’s off to Sony to take a look at the delayed Spider-Man game, plus a few other nuggets. Ubisoft also brought a lot to the show, so we talk a bit about their games. Finally, we tackle Nintendo which shocked many a fan with the precise 25 minutes presentation and various announcements throughout E3. 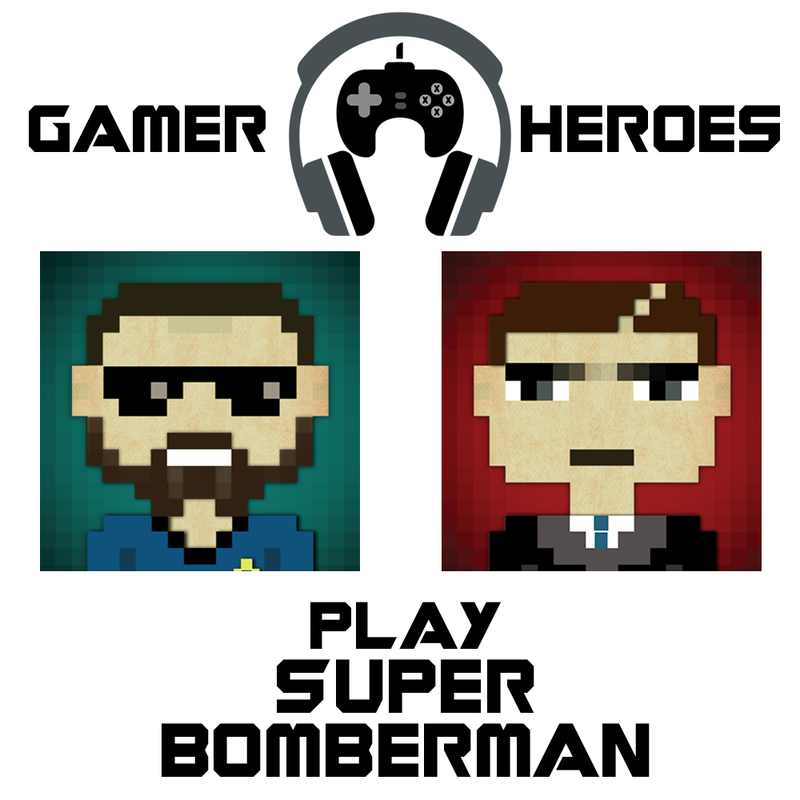 This is our first time going live with Gamer Heroes, so please bear with us if we run into any technical issues. It’s E3 time! Well, almost. Join us as we provide our predictions for E3 2017 across the major video game console players, Nintendo, Microsoft, and Sony. We talk Nintendo Switch, Super Smash Bros., and Pokemon, followed by Project Scorpio and Halo 6. Then it’s off to Sony for PSVR, The Last of Us Part II, and more. We also talk just a bit about the Pokemon Direct earlier this week that announced new Pokemon games for this Fall. It’s all fighting games this week as we return to talk Ultra Street Fighter II: The Final Challengers, Injustice 2, and Super Smash Bros. Switch rumors! Also, we’ve made some changes with a new hosting service, so we apologize for any complications or confusion. It’s the same show, same hosts, same site, but better than ever. So we hope you enjoy our latest episode. Don’t miss our live streamed Injustice 2 tournament Sunday, June 4th at 3PM EST (2PM CST) at twitch.tv/heroespodcasts! Yacht Club Games, makers of the smash hit indie title Shovel Knight were awesome enough to sit down with us for an interview! We talk with two of the original founders of the company, Ian and Sean. They’ve been with Shovel Knight even before there was Kickstarter. We talk about their contributions to Yacht Club games, what they do day-to-day, and then dive into Shovel Knight. We hit on the Kickstarter, stretch goals, initial release, expansions, bringing the game to the Nintendo Switch, and the newest release, Shovel Knight: Treasure Trove. Plus, Ian and Sean talk a little about the final two major components coming to the game slated for 2017. Gears of War is getting a feature film, Nintendo Switch gets an NBA Jam style game for cheap, plus our first impressions of Mario Kart 8 Deluxe! We talk about our thoughts for how they could pull off a successful Gears of War movie, comparing it to Resident Evil, Warcraft, and even Lord of the Rings. Then, it’s off to the streets for NBA Playground, a new $19.99 title coming to the Switch on May 9th featuring all kinds of players in a 2-on-2 style. After that, it’s out main topic, Mario Kart 8 Deluxe for the Nintendo Switch. We compare it to the Wii U release, talk new characters, completely overhauled battle mode, and what we loved and didn’t love about Nintendo’s latest game that sold over one million copies in just three days. We’ve got big news not just from around the video game universe but for the Gamer Heroes podcast as well. First, we talk about the Xbox Live Spring sale that includes cheap major titles like Halo 5, GTAV, Gears of War 4, and even some cheap older titles for the xBox 360 like Red Dead Redemption, plus a discount on custom controllers. Then it’s off to Nintendo news with a bit about the NES Classic being discontinued as well as some of our thoughts on the items that came out of this week’s Nintendo Direct that focused on ARMS, new Joy-Cons, and even a FAST RMX update. Then it’s all Overwatch as we let you guys know about our Overwatch: Uprising stream that happened on Facebook! You can catch our play through of the base event here and the “all heroes” version here. Part 2 of our March Madness continues the first round of our Sweet Sixteen bringing in Nova, Sonic, Sonya Blade, Lara Croft, and more! First, we cover some news including plans for Star Trek Online’s First Contact Day celebrations, the Yooka Laylee Switch situation, thoughts on Splatoon 2 after the global test fire, plus a bit on the Starcraft 4K restoration. Then, we battle out the second four match-ups: Crash Bandicoot vs Sonic, Lara Croft vs Fenix, Spyro vs Sonya Blade, and Nova vs Big Daddy. We talk abilities, weapons, fighting styles, opportunity, and more until we determine a winner for each of the four matches. You’ll have to listen in to see who moved on to the quarter finals. What do you think of our second four match-ups? Did we get them right? Did we miss the mark? Comment or hit us up on Facebook to let us know! Then stay tuned for our Quarterfinals!